Each year, Sancta acknowledges the efforts and achievements of alumni who have made outstanding contributions within Australia and internationally in their chosen fields, in many spheres of endeavour and walks of life. This award recognises Alumni aged 40 years and over for their outstanding efforts over a sustained period in one or more of the award criteria. This awards recognises the achievements of alumni aged under 40 who have made a significant impact in one or more of the award criteria. Complete the nomination form here. Nominations for our Alumni Awards close Friday 12 May 2019. This year, the Alumni Awards will be announced and presented alongside our Annual Gala Dinner on Thursday 23 May – to be held for the first time in The Great Hall, The University of Sydney. We are proud to present Alumna and global FinTech leader, Loretta Joseph, as our guest speaker. Loretta is the advisor and regulator for 27 governments (and counting) on blockchain, having written the technology’s first adopted legislation, with a focus on anti-money laundering and anti-terrorism. She works with world leaders, regulatory bodies, and sits on The Vatican’s Humanity 2.0 Papal Council to imagine and realise new solutions to poverty and all of its symptoms. The Annual Gala Dinner and Alumni Awards will also mark the launch of our annual fundraising campaign through which we aim to raise $1m in long term funding of scholarships and bursaries for students who will otherwise be unable to pursue their dream of living and studying at The University of Sydney. 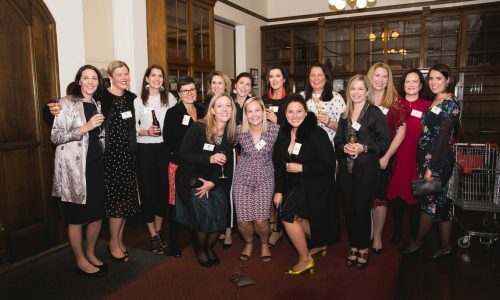 Join us in celebrating Sancta and our 2019 Alumni Awards recipients – tickets can be purchased here.